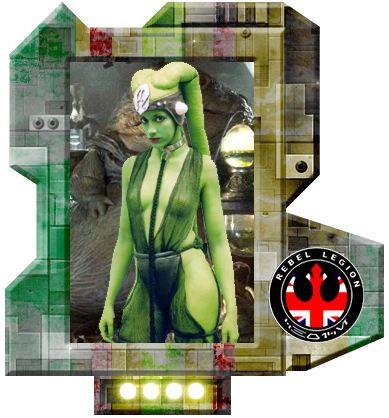 Lime green bodypaint with matching headtails (Lekku) - attached to leather head wrapping with ear buds and chin strap to hold in place. Jumpsuit made from black netting, tied at the waist, thighs and calves with chunky rope. Strappy sandals. Metal collar with attached thick rope.